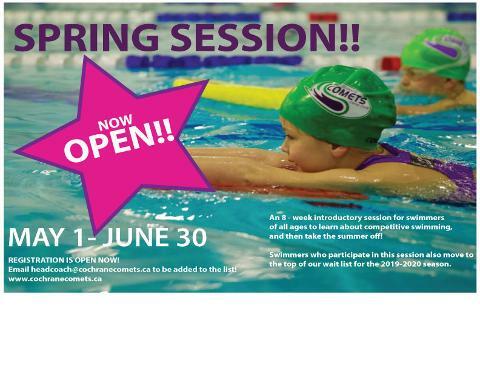 The Cochrane Comets is Cochrane's premiere competitive swim club running from September to June. Our swimmers begin as young as age 5 in our Pre-Competitive program, eventually advancing to our Competitive squads where swimmers may compete up to the age of 18. Our philosophy is built around "P.E.P.L Over Performance". To support this, we offer an enriching, diverse programming designed to provide many opportunities for our swimmers and their team to excel in sport, and in life.